At first glance though, this is not the end of the world for the Wilpon led New York franchise. The entire Starting Staff could be composed of team controllable salaries. Bartolo Colon is a Free Agent now too, but maybe he would sign a small guaranteed contract with incentives. 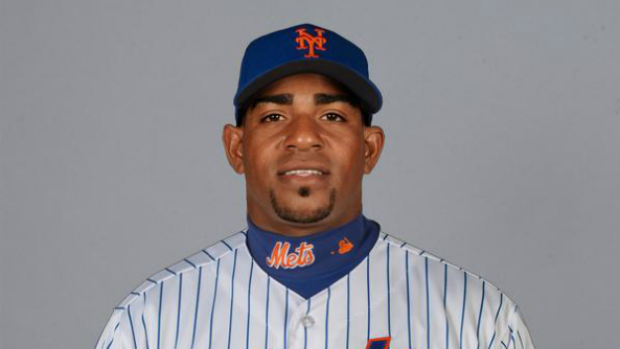 Yoenis Cespedes is a superstar player that has shown he loves the New York spotlight. With some progressive thinking, and a great amount of their young pitching superstars under team control for several years, the Mets have the wherewithal to sign the big Cuban OF. It is my idea that they outbid everyone to sign him, and then trade Curtis Granderson to create enough room in the OF, so that he can move over to a permanent spot in RF in Flushing Meadows. Matt Harvey, Noah Syndergaard, Jacob deGrom, Steven Matz and Jon Niese are all under contract for 2016, and only Niese (just over $9 MIL) makes any significant dollars. Harvey will be eligible for 1st Year Arbitration as well, but this is still not a great bounty for a rotation next campaign. Lest we forget Zach Wheeler should join the staff in the second half of the 2016 year, after he comes back from Tommy John Surgery. There are only 5 players under a current contract – including David Wright ($20 MIL), Curtis Granderson ($16 MIL), Michael Cuddyer ($12.5 MIL, ouch! ), Jon Niese ($9.05 MIL) and Juan Lagares ($2.5 MIL) equal $60 MIL for the lot. The franchise is still playing Carlos Beltran ($3.14 MIL), Bobby Bonilla ($1.69 MIL), Bret Saberhagen (250K) a total of another $5.1 MIL next season. That has the club up to $65 MIL. Juan Uribe, Eric O’Flaherty, Tyler Clippard and Kelly Johnson are also pending Free Agents, and are unlikely to be retained. This club has enough cash to spend on 2 offensive threat bats, retain a great Starting Staff and an above average Relief Core next year. The prognosis is good for the club to be competitive for the next 3 – 4 years while all their Pitching is under Team Control..
David Wright – 3B (32) – He will earn $87 Million from 2016 – 2020, including $20 MIL for the next 3 campaigns, followed by $15 MIL in 2019 and $12 MIL in 2020. Curtis Granderson – OF (34) – He will earn $16 MIL in 2015, $15 MIL in 2016 and is a Free Agent in 2017. May be perfect trade candidate, especially if the club wants to take a shot at Cespedes longterm. Michael Cuddyer – OF/1B (36) – Earns $12.5 MIL in 2016 and is a Free Agent in 2017. Jon Niese – SP (29) – He earns a shade over $9 MIL in 2016, before a couple of Team Options ($10 MIL in 2017, and $11 MIL in 2018). Look for him to be possibly traded next year, or the Mets may decline his Options for the following 2 years. Juan Lagares – CF (26): Makes $2.5 MI, before it grows to $4.5 MIL in 2017, $6.5 MIL in 2018 and $9.0 MIL in 2019, before hitting Free Agency. He will likely be the Starting CF next year no matter what. 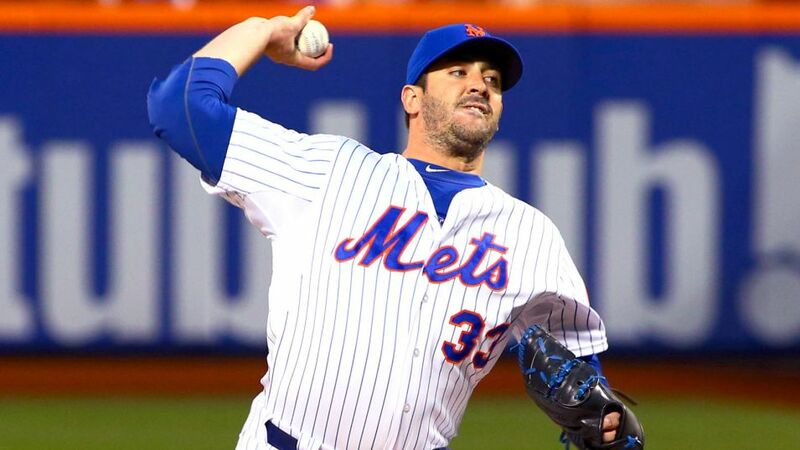 Matt Harvey – SP (26): This should be a nice bump in salary for the electric young arm. Potentially in the $7 – $8 MIL range. Harvey has two more remaining years on of Arbitration before he would be a Free Agent in 2019. Jeurys Familia – CL (26): Despite his 3 Blown Saves in the World Series the guy was money all year. He will earn a nice little bump in cash for his 2016 contract. Look for between $3 – $4 MIL for the deal next season..
Carlos Torres – RP (33): He won’t receive much of a raise, but look for a settlement of near $1.5 MIL for the campaign next year. 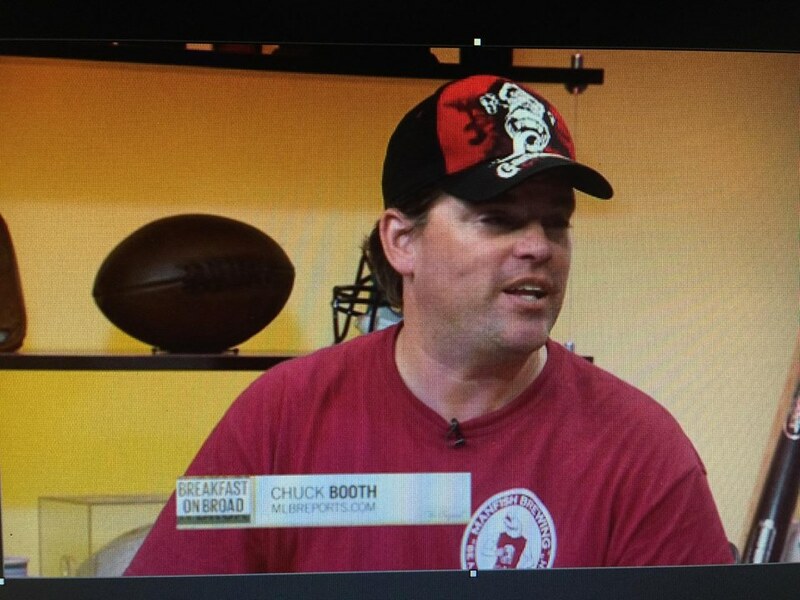 Josh Edgin – RP (28): He will be coming off a Tommy John Surgery and may be released is my prediction. Anthony Recker – C (32): A backup Catcher who may be jettisoned as well. Johnny Monell may be given the chance to back up d’Arnaud. Total Money for this Category – $12 – $13 MIL Total Team Payroll now sits at $72 – 73 MIL. Lucas Duda – 1B/OF (29): Duda made $4.2 MIL and had a nice season for the 2nd straight year. He will be sure to make around $7 – $8 MIL for the upcoming 2016 campaign. Duda becomes a Free Agent in the 2018 year after one more season of eligibility in 2017. Jenrry Mejia – RP (26): Following a 2nd suspension for banned substances this may be the end for Mejia with the Mets. He made $2.6 MIL in 2015. The club should think long and hard about retaining him since he may be suspended yet one more time. Mejia is Arb eligible in 2017 and 2018, before he would become a Free Agent in 2019. Addison Reed – RP (26): After blowing up a little in the postseason I would be surprised to see this guy retained by the team. It is a simple case of economics. Reed made $4.88 MIL last year, and rarely do guys take pay cuts in Arbitration. Total salaries for this category – $7.5. Total Team Payroll would be $80 – $81 MIL. 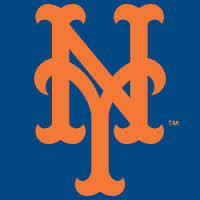 3rd year Arbitration Eligible players are Eric Young Jr. and Ruben Tejada. I doubt the Mets will want to retain Young Jr. The bad luck injury to Tejada maybe caused him some earnings for 2016, however the club should keep him for the last year of his Arbitration. Tejada may just be the Second Baseman for next year. If not, he is also a back up option for Wright if he gets injured. Tejada at 26 is still going to be part of the Mets next year, before becoming a Free Agent in 2017. Total Contracts from this category – $2.5 MIL. Total Team Payroll after this category would be $83.0 to $84.0 MIL. Wilmer Flores – 24 (SS): He has one more year of team control, is Arbitration Eligible from 2017 – 2019 and would be a Free Agent in 2020. Travis d’Arnaud – 26 (C): He has one more year of team control, is Arbitration Eligible from 2017 – 2019 and would be a Free Agent in 2020. Zack Wheeler – 25 (SP): He has one more year of team control, is Arbitration Eligible from 2017 – 2019 and would be a Free Agent in 2020. Jacob deGrom – 27 (SP): He has two more years of team control, is Arbitration Eligible from 2018 – 2020 – and would be a Free Agent in 2021. Noah Syndergaard – 23 (SP): Contract Status not updated yet, but will be not be a Free Agent until at least 2021. Michael Conforto – 22 (OF): Contract Status not updated yet, but will be not be a Free Agent until at least 2021. Steven Matz – 24 (SP): Contract Status not updated yet, but will be not be a Free Agent until at least 2021. Sean Gilmartin – 25 (RP): Contract Status not updated yet, but will be not be a Free Agent until at least 2021. Hansel Robles – 25 (RP): Contract Status not updated yet, but will be not be a Free Agent until at least 2021. Kevin Plawecki – 24 (C): Contract Status not updated yet, but will be not be a Free Agent until at least 2021. Rafael Montero – 25 (RP): He has two more years of team control, is Arbitration Eligible from 2018 – 2020 – and would be a Free Agent in 2021. Erik Goeddel – 26 (RP): He has two more years of team control, is Arbitration Eligible from 2018 – 2020 – and would be a Free Agent in 2021. Dilson Herrera – 2B (21): He has two more years of team control, is Arbitration Eligible from 2018 – 2020 – and would be a Free Agent in 2021. Dario Alvarez – RP (26): He has two more years of team control, is Arbitration Eligible from 2018 – 2020 – and would be a Free Agent in 2021. Eric Campbell – 1B/3B (28): He has two more years of team control, is Arbitration Eligible from 2018 – 2020 – and would be a Free Agent in 2021. 15 – 17 entry level contracts will add around $8 MIL to the payroll. This would mean the total payroll would go to around $92 – $94 MIL. If you are the Mets, you are supposed to be a big market. Coming off a World Series Birth should cause you to bump up your salary for the next few years. It would not be unfathomable to have a Team Payroll in the $120 MIL range for next year. This club should really try to sign Cespedes, and then trade Granderson for an offset in payroll. At 2 Yrs/$31 MIL, and based on his great year and playoffs, Grandy has nice value on the market right now. You could potentially net some Bullpen or middle infield prospects in return. It the MLB Reports belief that the Mets would stand to benefit greatly from inking Cespedes to a big contract, even if it surpasses $25 MIL a year for 5 or 6 years. The time to strike is now while the club has the Starting Pitching horses all under team control. If you don’t end up with Cespedes, the team will be devoid of a great middle of the order presence. Another option for this team would be to sign a guy that opposed them in the World Series. I am talking about Ben Zobrist. A guy who can play all Outfield and Infield positions (except C) would be a great asset to covet based on their current roster structure. The Michael Cuddyer signing of last year kills this club this season. If that albatross deal was not on the docket this season, the squad may have been able to run with Cespedes and Grandy for a couple years, with Conforto in Left. But that contract kills that chance. Cuddyer will be a part-time OF, or at best platoon with a young Conforto next year. Lagares looks to be the starting CF as of right now. So where should the team allocated their Free Agent Dollars? Bullpen…Maybe, but some teams do better when they construct the club with their own assets. Your Starting Staff is just fine. If David Wright ends up with an injury, you are pretty much screwed anyway. d’Arnaud is decent enough at Catcher, while Duda has good numbers for a First Baseman. Really the money should be spent on Cespedes (or like OF) – Chris Davis may be a great fall back. Zobrist leads the list of top guys that are middle infielders. Murphy would be a great re-sign if another GM doesn’t whisk him away with a big contract. Matt Harvey is the only Starting Pitcher that has even hit Arbitration out of Syndergaard, Matz, deGrom and Wheeler. He asserted himself as the pitcher the club wanted this postseason. With 3 years left in Arbitration, it will likely cost the club between $33 – $39 MIL for his services the next 3 campaigns. I highly doubt the Mets will want to pay him a $200 MIL plus contract he will be seeking beyond that. Posted on November 3, 2015, in MLB Payroll and Contracts and tagged 2015 NL East, 2015 NLCS, 2015 World Series, addison reed, anthony recker, bartolo colon, ben zobrist, bobby bonilla, bret saberhagen, carlos beltran, Carlos Torres, chris davis, curtis granderson, daniel murphy, david wright, Eric Campbell, eric o'flaherty, eric young jr., Erik Goeddel, Hansel Robles, Jacob DeGrom, jenrry mejia, Jeurys Familia, Johnny Monell, jon niese, Josh Edgin, juan lagares, juan uribe, kelly johnson, Kevin Plawecki, kirk nieuwenhuis, lucas duda, matt harvey, mets ownership, michael conforto, michael cuddyer, New York Mets Payroll 2015, New York Mets Payroll 2016, Noah Syndergaard, Rafael Montero, ruben tejada, sean gilmartin, Steven Matz, travis d' arnaud, tyler clippard, Wilmer Flores, zack wheeler. Bookmark the permalink. 1 Comment.